I always have had a passion for horses and the wild undeveloped outdoors. Growing up overseas in Panama, I started riding jumpers, eventing, dressage and exploring trails in the jungle. My education is in biology, from Emory University and University of Georgia. I came to Aspen to ski, and was hired as a wrangler for Moon Run Outfitters. Captivated by the rugged landscape, and independent, adventurous, friendly people I felt at home. Living in the Roaring Fork Valley for 30 years and raising a son here has been an ongoing adventure. Managing ranches, land stewardship, and horses has provided a life of education and interesting living, I am grateful for. 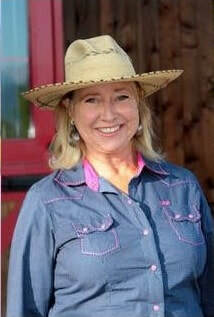 I am a volunteer and have served on the board for the children's organization, Roaring Fork Hounds Pony Club. Serving on the Roaring Fork Valley Horse Council board, allows me to give back to my community in an area I am passionate about.